A Chinese construction company on Tuesday won a bid to construct a wastewater treatment sub-project in the town of Battambang province in northwest Cambodia. It’s been almost 20 years since Sor Piseth took his first drugs. Ever since, he has found it extremely difficult to stay away from both heroin and methamphetamine. 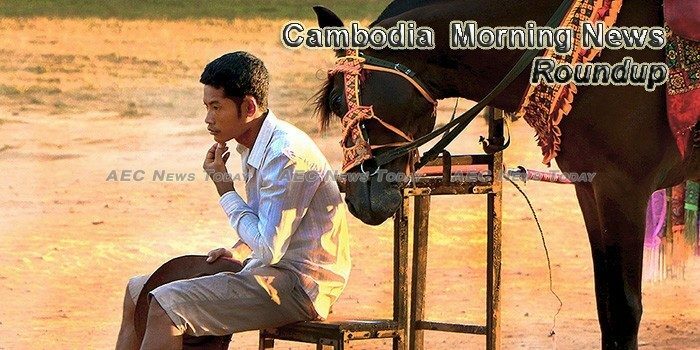 Now the 38-year-old Cambodian is trying to quit. He knows it’s the only right thing to do to make sure he sees his children grow up. An interministerial task force has been established to ease simmering tensions between Cambodian and Chinese business owners in the coastal resort town of Sihanoukville, the latest sign that a huge influx of Chinese investment is causing problems on Cambodia’s coast. The Exim Bank has extended a line of credit worth USD 36.92 million to Cambodia for financing the Stung Sva Hab/Slab water resources development project. The Cambodian government has signed a $1bn PPP contract for an expressway project. Cambodia saw 6,372 dengue fever cases in 2017, down 50 percent from 12,843 cases in a year earlier, a senior health official said on Tuesday. The Ministry of Justice today confirmed that a proposed lèse majesté law would be among a series of legal amendments considered by the Constitutional Council on Friday. After more than three decades as Cambodia’s prime minister, Hun Sen added a new routine to his schedule last August: visits to the garment and footwear factories that employ some 700,000 citizens nationwide. Human rights group says Federal Court commuting death sentence and imposing of new 10-year jail term on lesser charge is distressing. Lotte Liquor, a unit of Lotte Chilsung Beverage, will start selling Kloud beers in Phnom Penh, Cambodia, from February, expanding its sales to Southeast Asia. Mundulkiri Governor Svay Sam Eang told Fresh News on Tuesday evening at about 5p.m that an army force, a forest ranger, and an NGO staff were fatally injured in a gunfire Ou Reang district, Mundulkiri province near Cambodia-Vietnam border.